Taking recovery one day at a time makes living life much easier after kicking substance abuse. Living in the past or future is stressful, counterproductive, and can take focus away from your new healthy life. 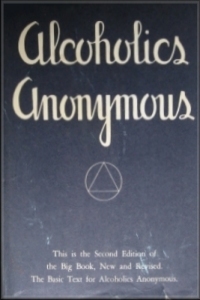 The philosophy one day at a time is associated with Alcoholics Anonymous (AA). Many people who have been in the program say they don’t look at their sobriety in months or years, it’s just a bunch of 24 hours strung together. This makes sobriety much easier to tackle. Thinking about not drinking or using for the rest of your life may seem daunting. Not drinking or using for the next 24 hours is an easier perspective. The Just for Today Card is also taken from AA. It is a tool that helps people in recovery deal with the next 24 hours ahead of them. Some suggestions include deciding to be happy, being agreeable, not to criticize, and only try to improve yourself instead of others. It also states that relaxation and quiet time are important, and to rid yourself of fear. Following a 12 Step Program one day at a time relieves unnecessary fear and stress. Trying to solve all your problems immediately will not happen, and driving yourself crazy with “what ifs” won’t help either. If you spend too much time in the past or future, you’ll miss the gifts of today. Of course, some future preparation in life is necessary, but constantly worrying about the future isn’t beneficial. Deciding to give up drugs or alcohol is a courageous decision, and Passport to Recovery offers a list of credible addiction treatment facilities that can help you with your initial steps. Focusing on the first steps of recovery is the most important thing to concentrate on, and doing it in a safe environment like a rehab is a wonderful idea.